Former German fooball player and captain of the German national football team. 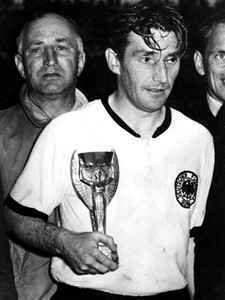 He was born 31 October 1920 in Kaiserslautern, Germany and died 17 January 2002 in Enkenbach-Alsenborn, Germany. Brother of Ottmar Walter.